I often have a hard time with morels. As a forager, it took me years to dial them in with any regularity. Now that I can get them consistently every year, as a cook I still find myself using morels not as the star of the plate, but as a bit player in some other dish. The morel is such a wonderful mushroom it really ought to be given a chance for center stage. And while I know a lot of people like them simply dusted in flour and fried, for me the best way to highlight morels is in a mushroom risotto. Why risotto? Because this particular way of making rice is tailor-made for mushrooms, especially dried ones. The water you use to rehydrate your dried mushrooms becomes an instant broth to cook the rice in. If you’ve never made a risotto, which is Italy’s signature rice dish, it uses a lot of liquid and requires near-constant stirring to be perfect. That stirring agitates the starches in the rice, causing some of it to slough off into the liquid, which results in a creamy sauce — only without the cream. Most good risotto is served loose, almost soupy, with rice that is cooked al dente. Mushy risotto is a crime against God and Nature. 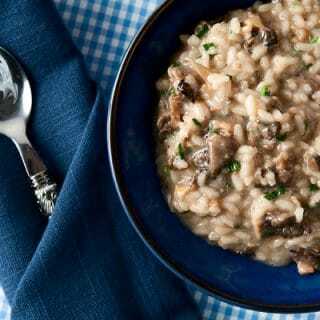 A tighter risotto — one that could be served on a plate instead of in a bowl — is an acceptable style, although I am not overly fond of it. 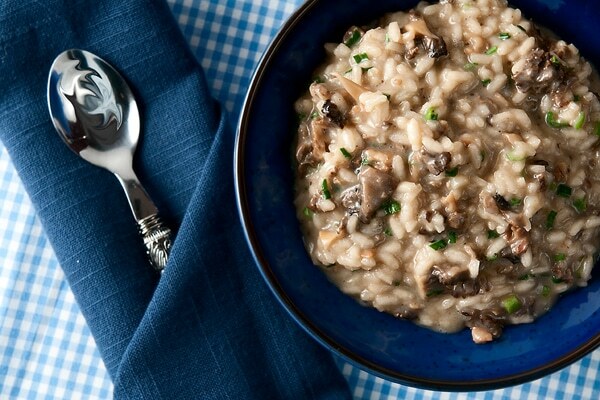 Risotto can also be built around each variety of mushroom. My porcini risotto is different from this morel risotto, and I made a risotto variant with black trumpet mushrooms called midnight rice that is different from either of them. 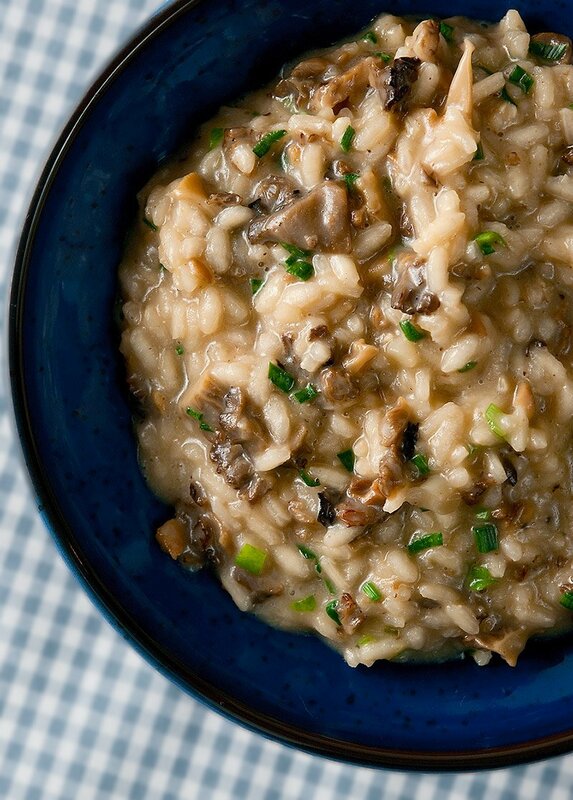 In this recipe, I am pairing the morel risotto with fresh wild onions I gathered in the Sierra Nevada. I know you won’t have wild Sierra onions, but it doesn’t matter: Any sort of green onion will work. 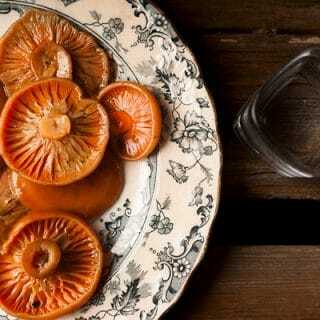 Even if you are not a forager, I urge you to make this dish. You can easily buy a packet of dried morels at most supermarkets, or you can buy morels online. You only need 1/2 to 1 ounce of dried ones to make enough risotto for four people, and it is worth the effort, I guarantee it. You can find dozens of recipes for mushrooms here on Hunter Angler Gardener Cook! Only slight change is I added a bit of cooking cream with the parmesan to get that extra thick feel and taste. Otherwise, the recipe is perfectly balanced and absolutely delicious! What meat and vegetable would be the ideal accompianamonts? This was delicious! Followed the recipe as is.